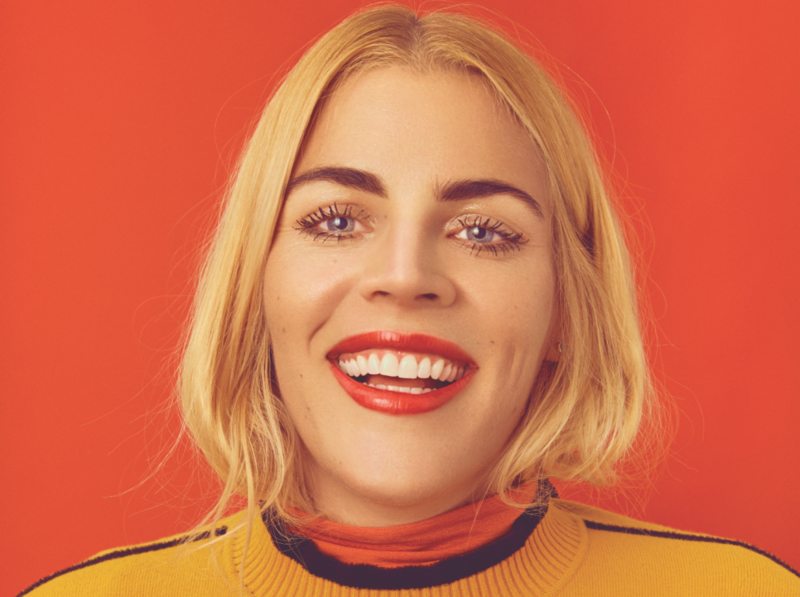 Refer to Busy Philipps’s Instagram bio—“It’s all happening”—and you’ll get a good sense of what’s going on in her life: On October 16, the 39-year-old actress (best known for Freaks and Geeks, Dawson’s Creek, Cougar Town, or, depending on what kind of consumer you are, as the host of Michaels’ online crafting series The Make Off) released her debut memoir, This Will Only Hurt a Little, which landed on the New York Times best-seller list. Less than two weeks later, her Tina Fey-produced late-night show, Busy Tonight, premiered on E!, making her one of an elite group of women to snag a primo evening slot. The series airs four nights a week and is a natural extension of Philipps’s social media personality, which she broadcasts to more than a million followers via daily Instagram stories (she was one of the feature’s earliest celebrity adopters). The transmissions are unremarkable—you’ll see her sweating it out at a LEKfit class in Hancock Park or maybe in the immediate loopy aftermath of a colonoscopy—but they’re relatable. Busy Tonight taps that same stars-they’re-just-like-us vibe, which seems to be her greatest skill. Here, Philipps considers crafting and gummy bears while prepping for another week of shows. Fill in the blank: “I’d lose my mind if _____ started watching my Instagram stories. Tori Amos. She seems otherworldly, though, like she’d never even know what Instagram was. Characters from shows you’ve been on whom you’d invite on Busy Tonight? For sure Lindsay Weir from Freaks and Geeks. Dawson Leery from Dawson’s Creek, because he’s probably famous and making movies now, so it’d make sense. And Jules Cobb from Cougar Town. Great night of TV. Fellow talk show hosts you’d cast in a Dawson’s reboot? Rosie O’Donnell can be Joey. Joan Rivers could’ve been Grams. (Jimmy) Kimmel can be Pacey. Samantha Bee can be Jen. And (Jimmy) Fallon can be Dawson. I feel like that would really work. If you could design an L.A.-specific Instagram filter, what would it have? An iced coffee and giant sunglasses. And then just a bunch of crystals around your neck. Celebrity you want to go head-to-head with in a Make Off? Martha Stewart. Everything I try on her website becomes a total Pinterest fail, so I’d be very curious to see her in action. Pick a preshow ritual: tequila, your favorite alcohol, or cinnamon gummy bears, your favorite snack? I have to go with alcohol over sugar. We have both of those in the Busy Tonight green room. Disney character you’d want do a sheet mask with? Anna from Frozen. Because then I’d just be hanging out with Kristen Bell. RELATED: 10 Cultural Moments That Defined 2018 in L.A.